Labadee is your ideal cruise ship destination; sandwiched between beautiful mountain slopes rich in exotic foliage and an open sea that knows only clear turquoise water. This 260-acre beach resort is owned by Royal Caribbean International following a series of agreements with the Haitian government. Labadee does not fit the definition of private islands in the strict sense of the word but it comes close in terms of the provisions it has for visitors. Visitors here come prepared knowing they can snorkel all they want and eat all the barbeque they can fill their plates with. The resort’s pristine beaches and stunning scenery are true definitions of beauty. Caribbean luxury cruises give you the opportunity to visit Labadee, Haiti, a private beach destination. There are many things to do in Labadee, Haiti, including getting the chance to explore exotic foliage and mountain slopes. The crystal clear water and white sand beaches welcome you to a paradise that is like no other place in the world. When you are checking off things to do in Labadee, Haiti, you should include exploring the water sports that the Caribbean islands have to offer. Enjoy an Adrenaline Coastal Tour, which allows you to explore this area in a high-speed boat, or go on a scuba diving or snorkeling tour to get acquainted with the water and the marine life within it. You can also enjoy the various water parks and features throughout the area. If you love playing and having fun around water then Arawak Aqua Park is the place to be. This fun-filled amenity will let you slide and bounce on trampolines, water slides, rolling logs as well as many other inflatable toys floating on water. For some more water fun, the Dragon’s Splash Water Slide with its ten twists and turns provides an attraction the entire family will enjoy. There are various activities that will allow you to learn more about the culture and history of the area. The Haitian Cultural Tour at Paradise Cove & Beach Break and the Labadee Historic Walking Tour give you the chance to meet some of the locals and learn about what makes this island so special. You will get to see the beach, as well as other places. This resort has world-class beaches and stunning coral reefs to match. This combination makes for both wonderful sunning experiences as well as some snorkeling alongside many fish species. Those who feel lazy can just take it easy with a beach nap or some reading while enjoying the tropical breeze. Haiti is a sunbather’s paradise and there is no better way to enjoy the rays than by soaking it up in a floating beach mat while dancing to the gentle waves. Visitors who would rather enjoy the delight of top cruise destinations in quiet will find the private upscale cabanas facing the sea very charming. These exclusive cabanas overlook Nellie’s Beach and come with enhanced amenities and provisions like floating beach mats, beach towels, water coolers with several bottles as well as a pass for a lunch buffet in any of three island restaurants. One of the great things to do in Labadee, Haiti is to spend time simply relaxing on the beach. To enhance your experience, you can spend time in the Adrenaline Beach Cabanas so that you can get a little break from the sun throughout the day. You can kick back and enjoy tropical drinks, people watch and enjoy the view of the beautiful beach right in front of you. There are affordable Caribbean vacations right at your fingertips. With all of the things to do in Labadee, Haiti and the other destinations your ship docks, it is easy to see that this is a once in a lifetime opportunity. You will get to travel throughout the Caribbean and enjoy the lighter side of life. 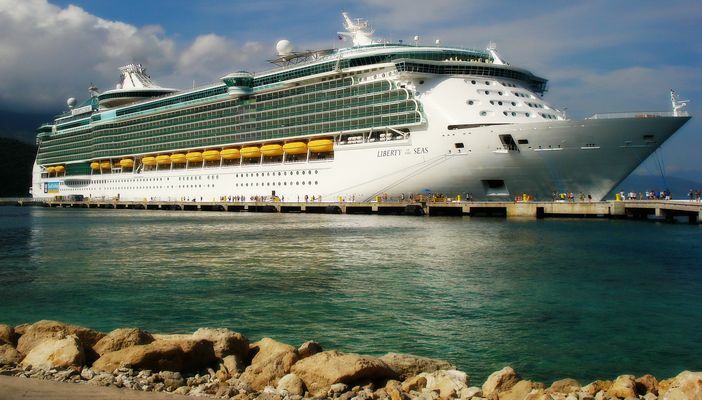 The prospects of traveling to the tropical paradise of Labadee look promising with Royal Caribbean International lining up many of their ships to make the passage. So this private island is exciting, hot and sizzling; check the widget below for prices of those cruises that include the port of Labadee and book your trip now so you can join in on the fun.